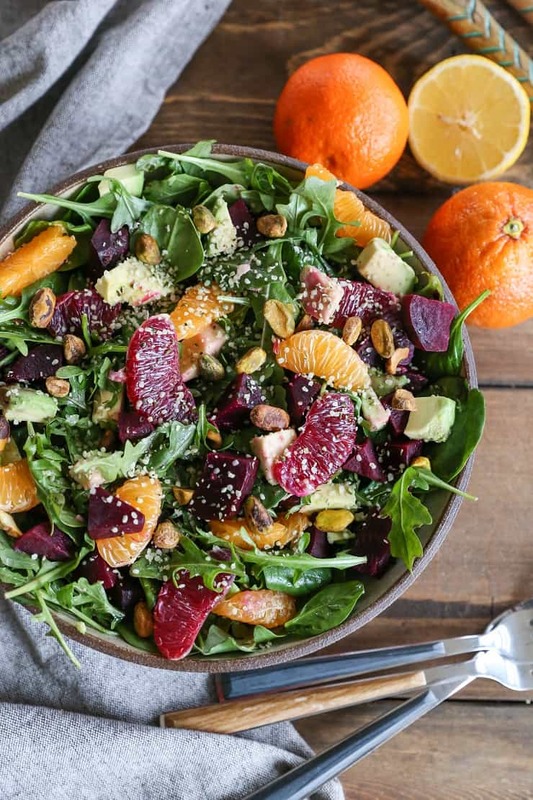 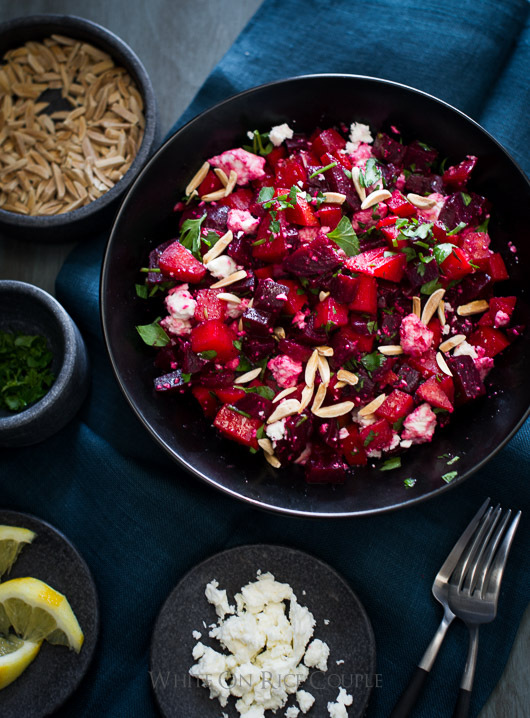 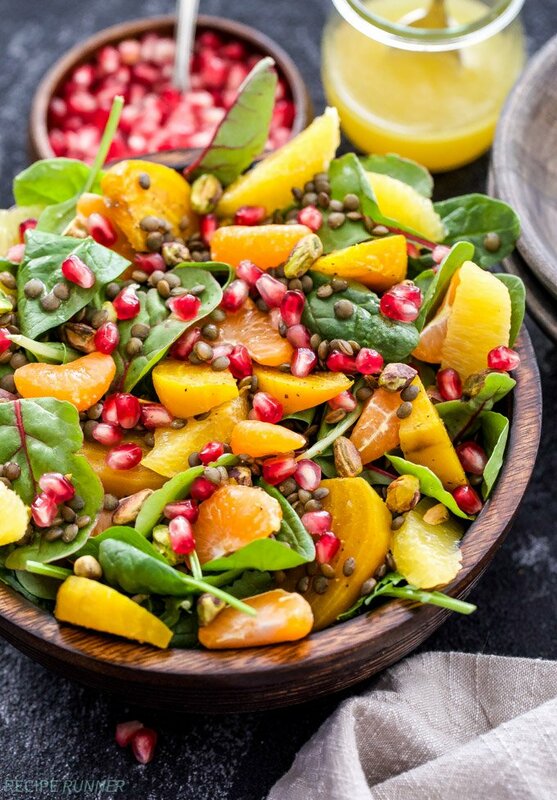 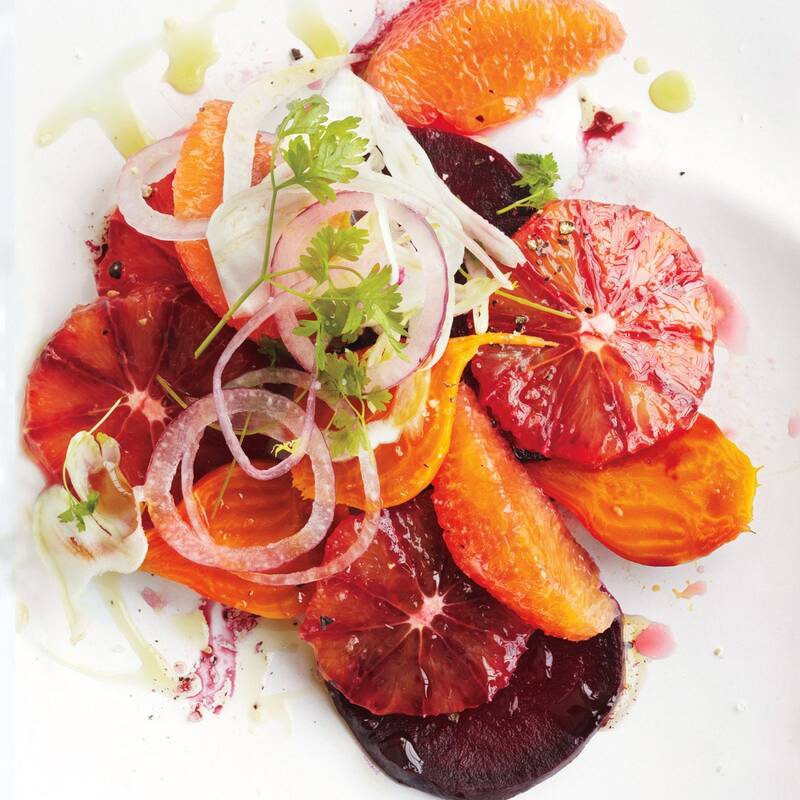 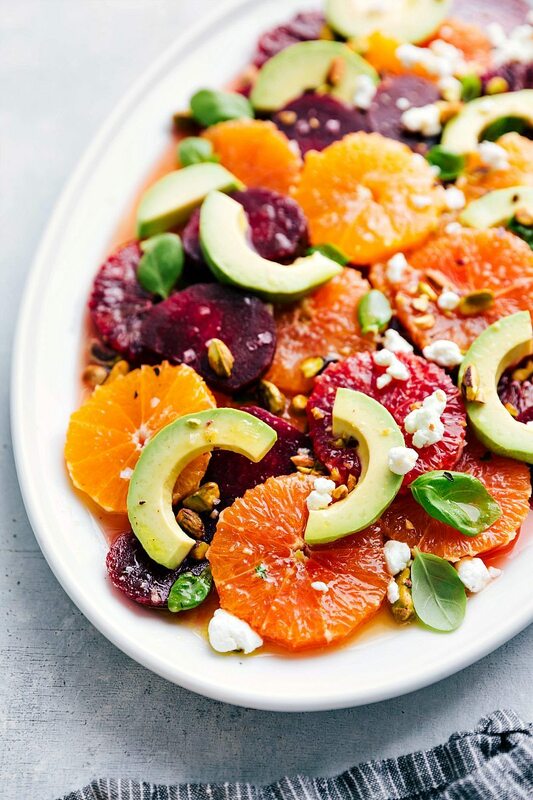 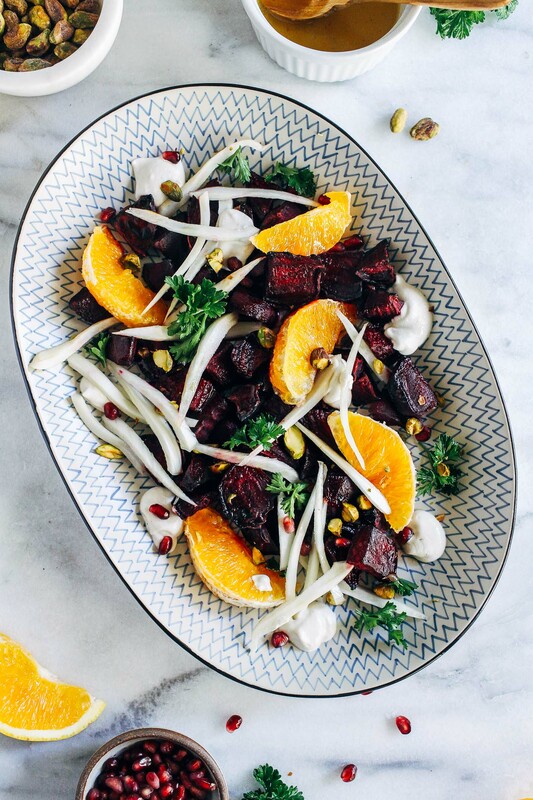 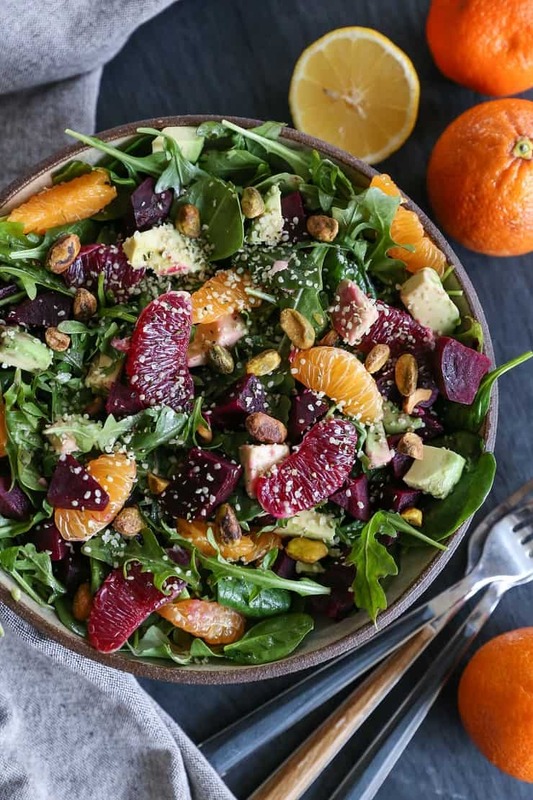 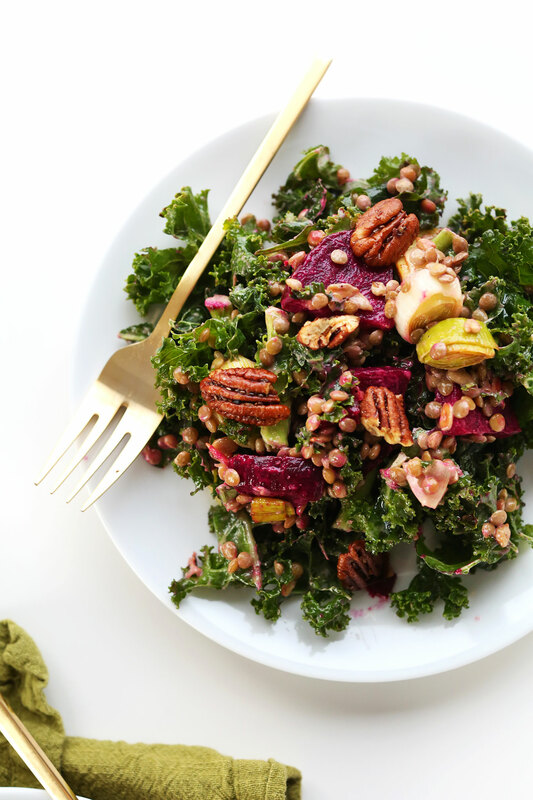 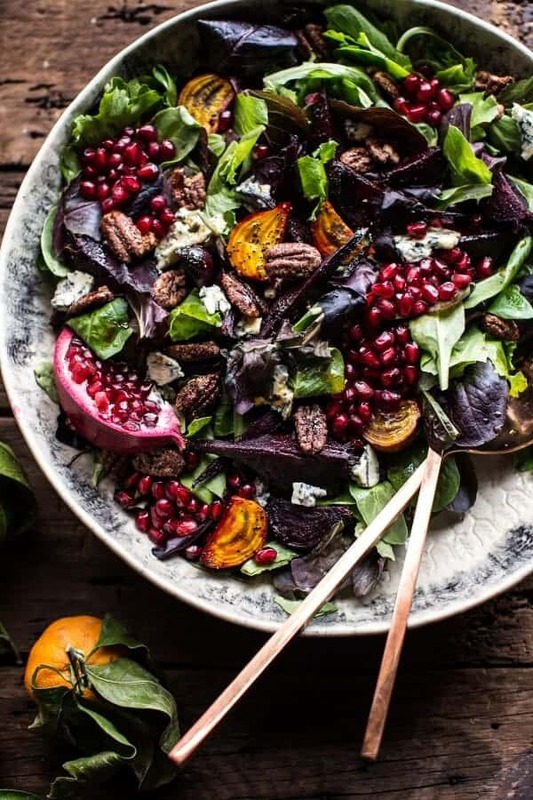 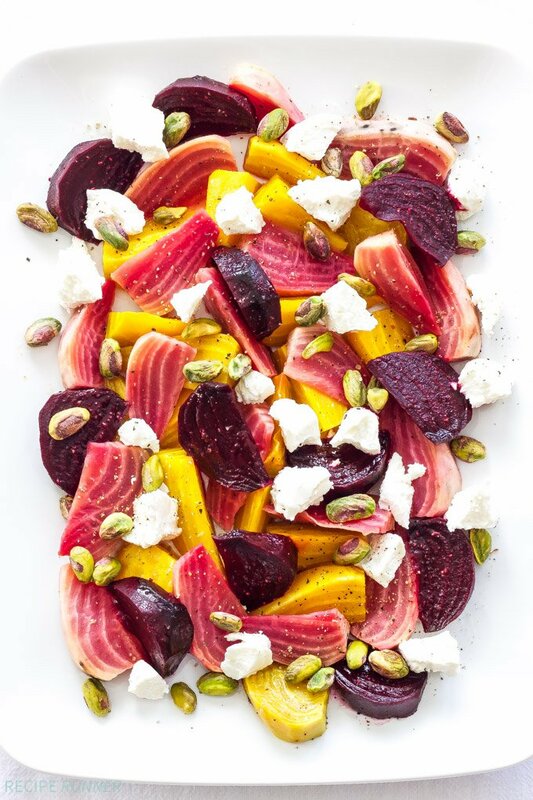 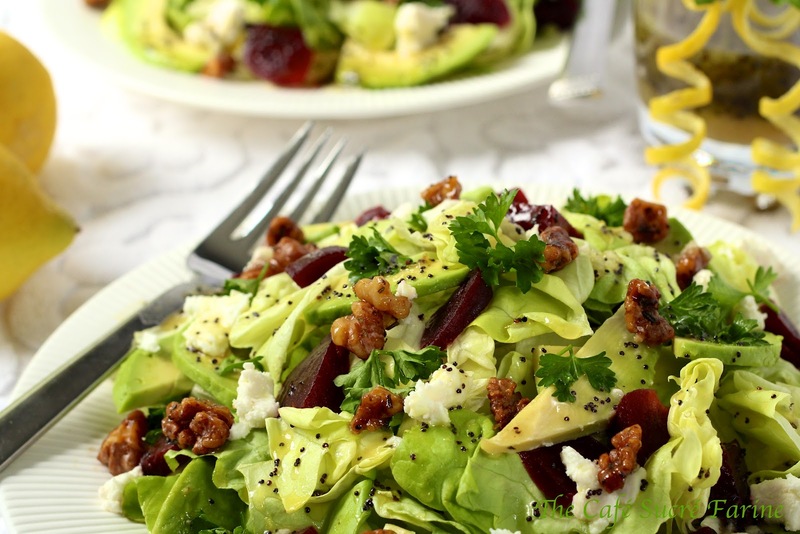 Winter Beet and Pomegranate Salad with Maple Candied Pecans + Balsamic Citrus Dressing | halfbakedharvest. 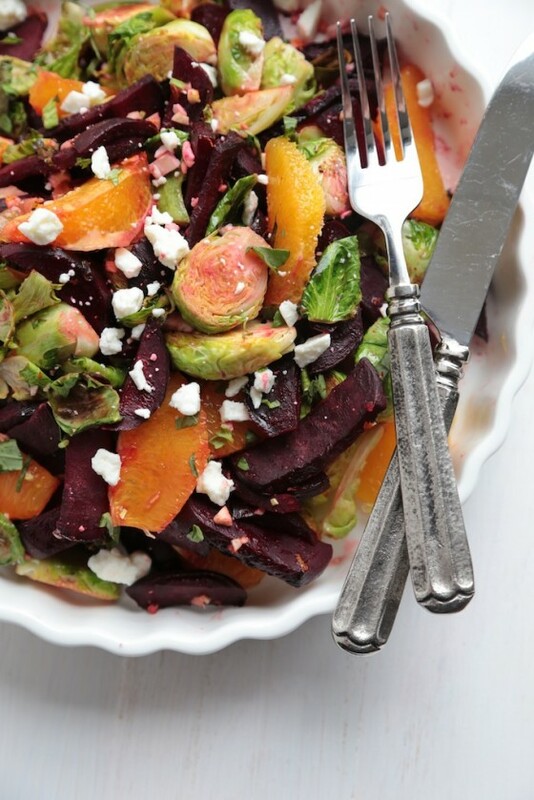 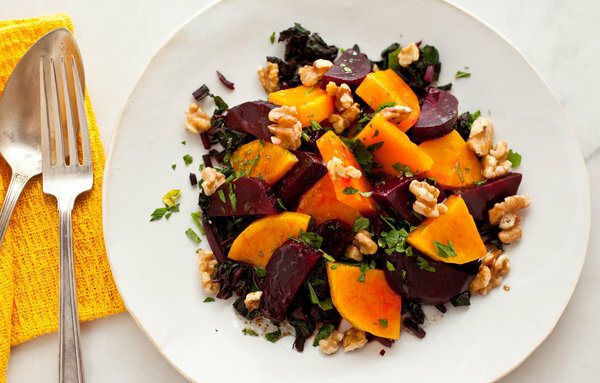 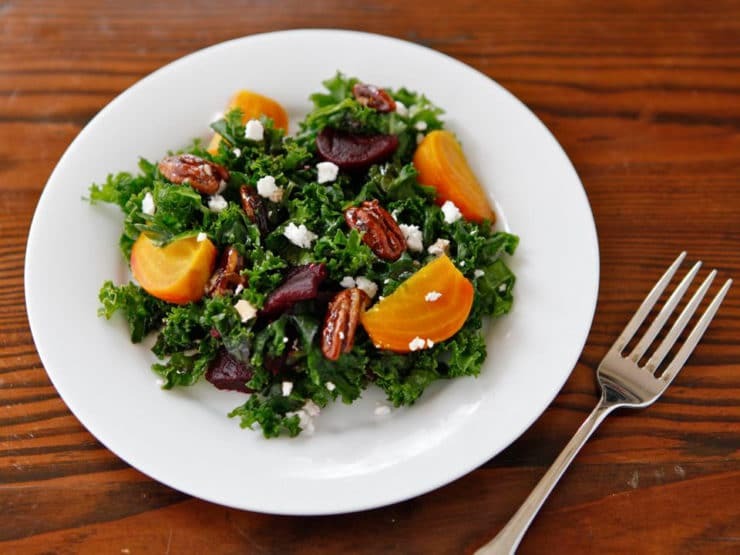 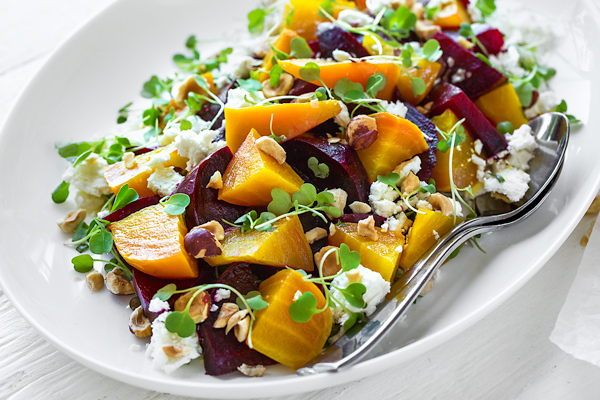 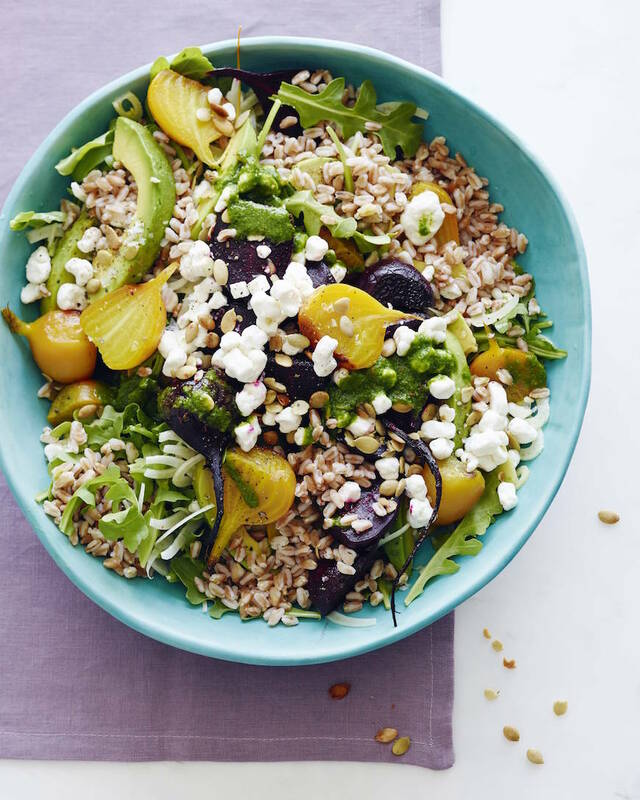 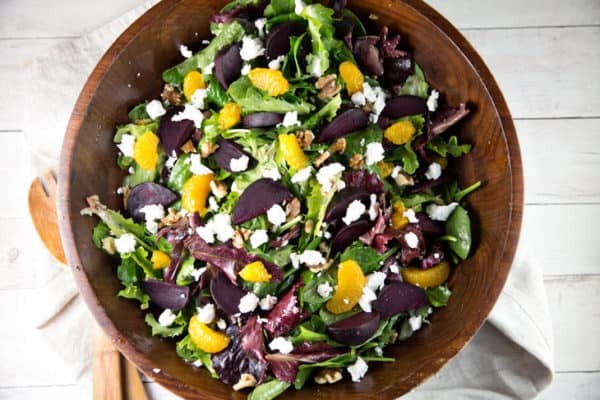 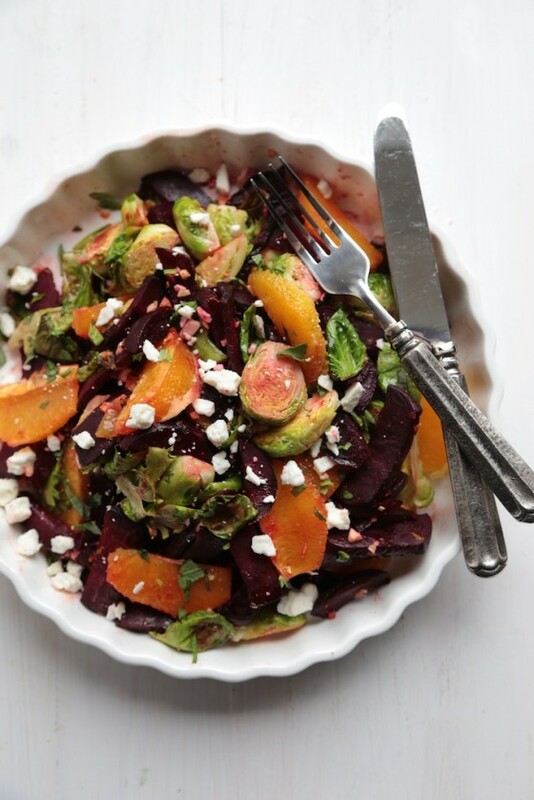 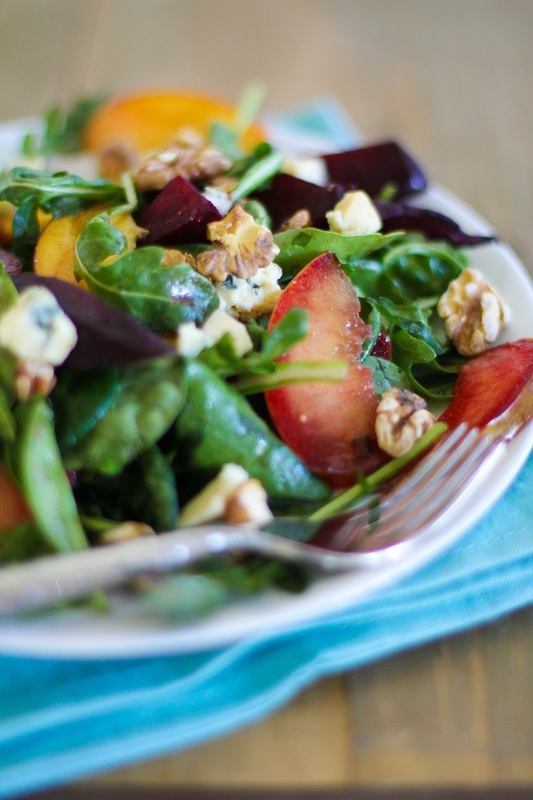 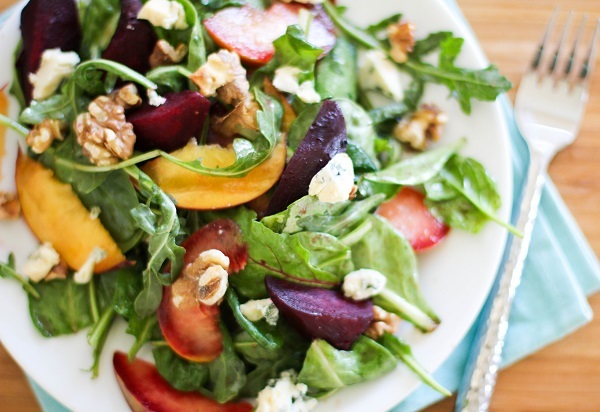 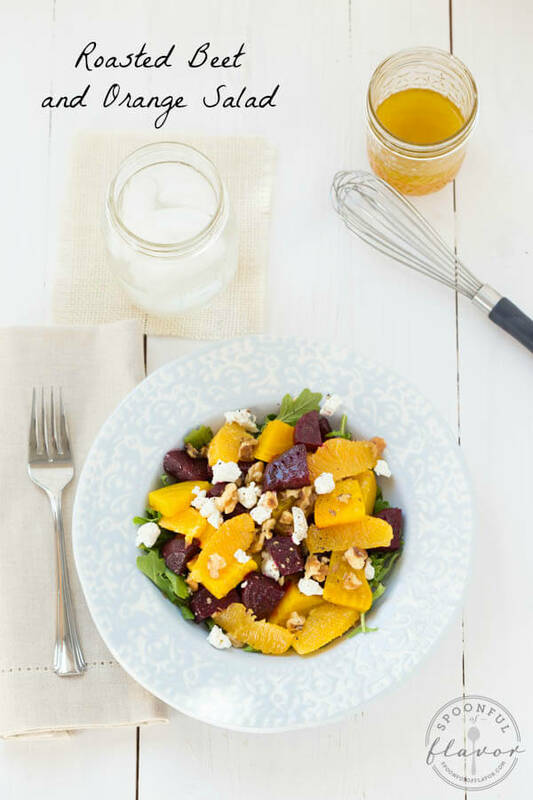 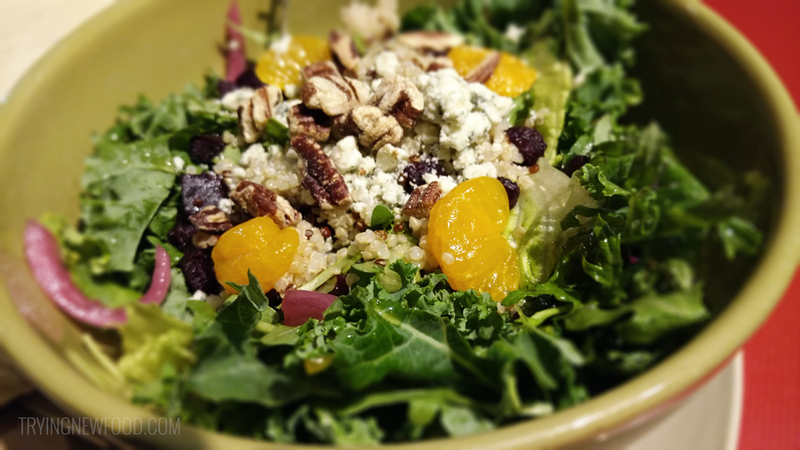 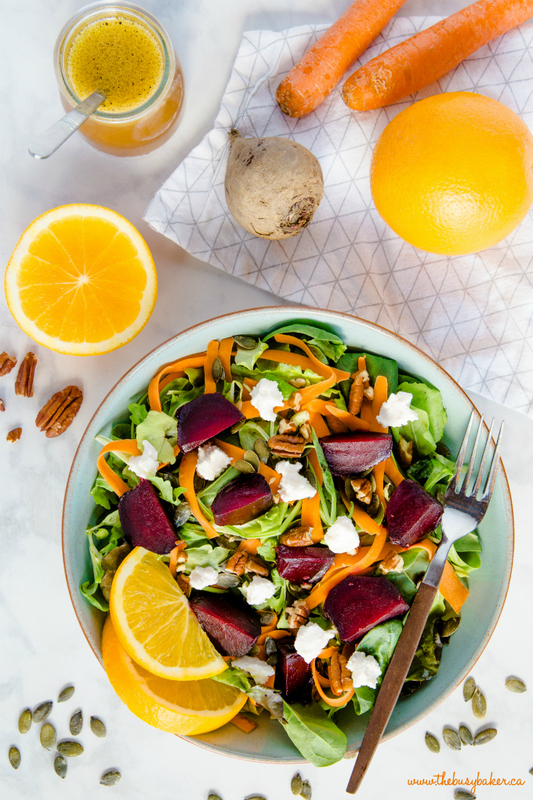 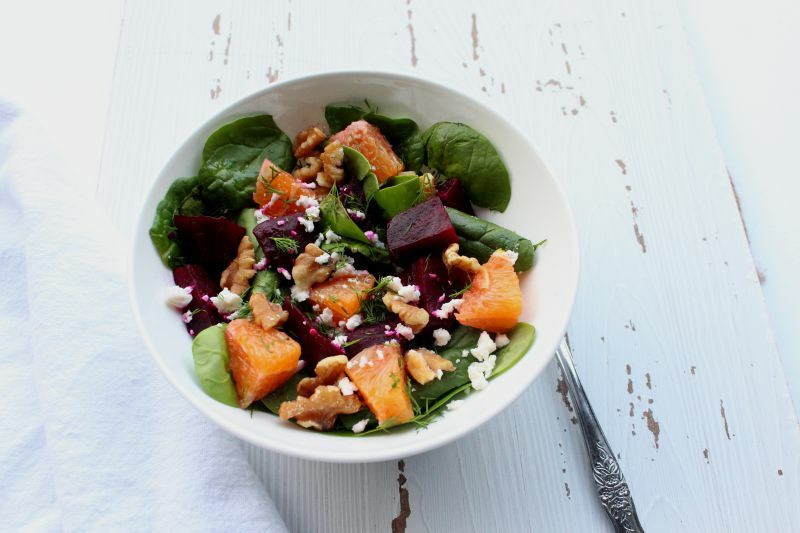 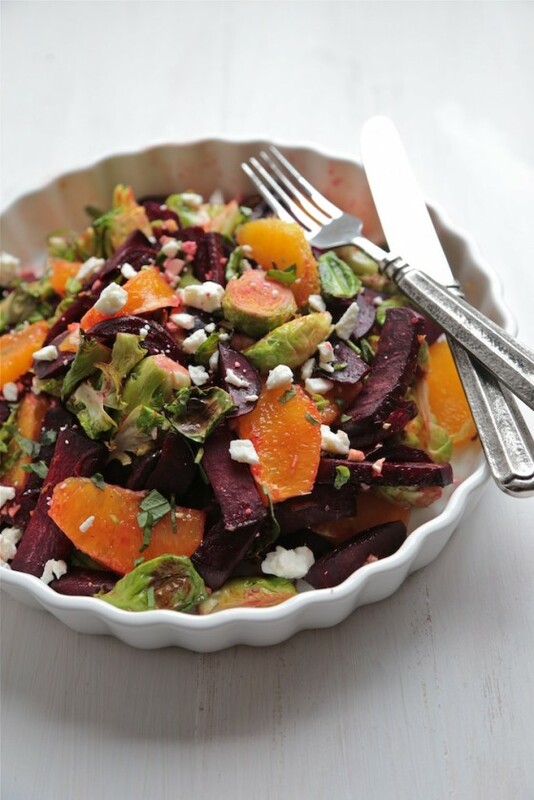 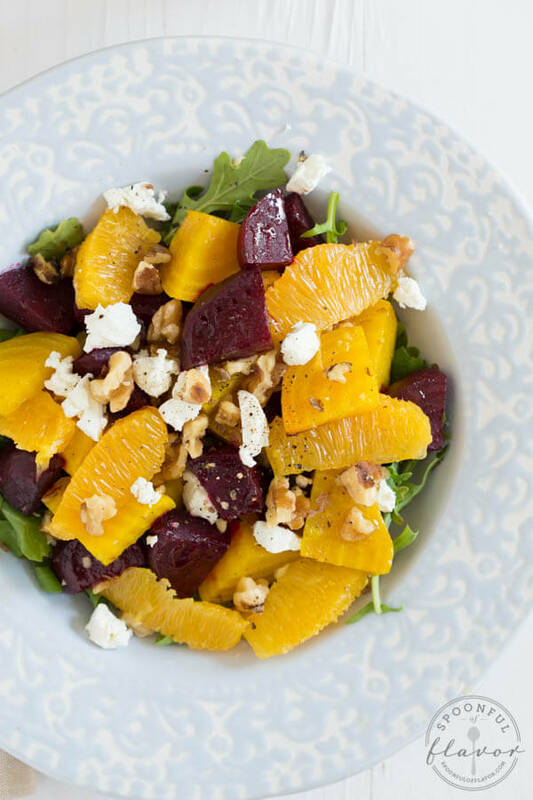 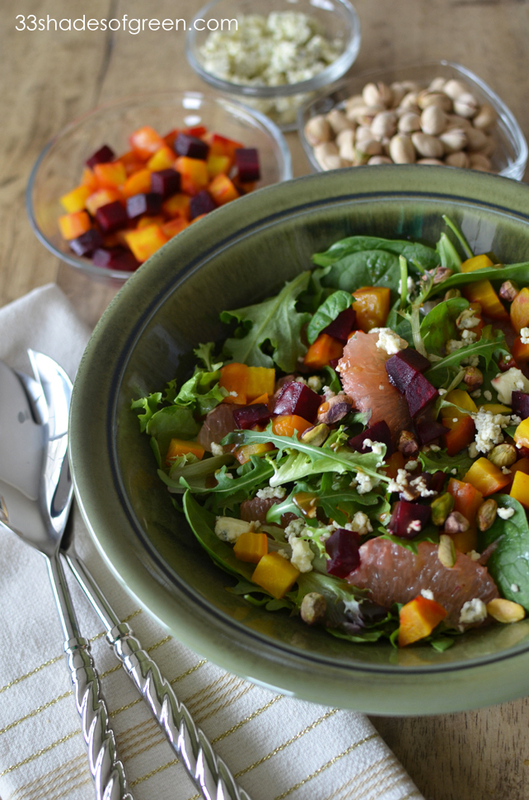 Roasted Beet and Orange Salad over arugula with goat cheese and walnuts! 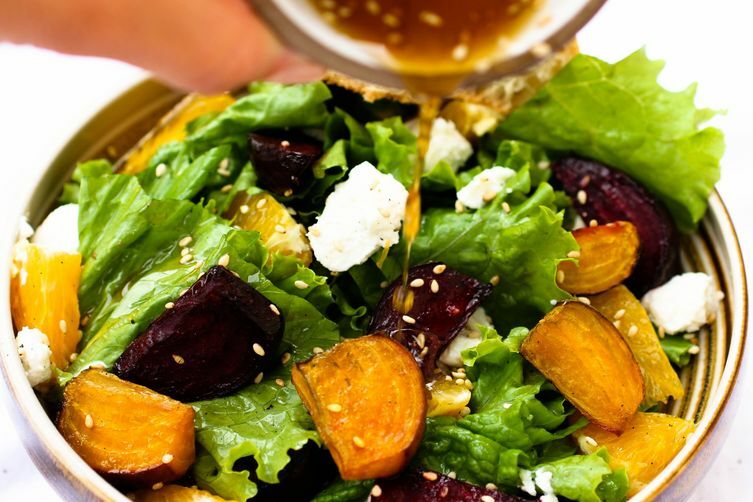 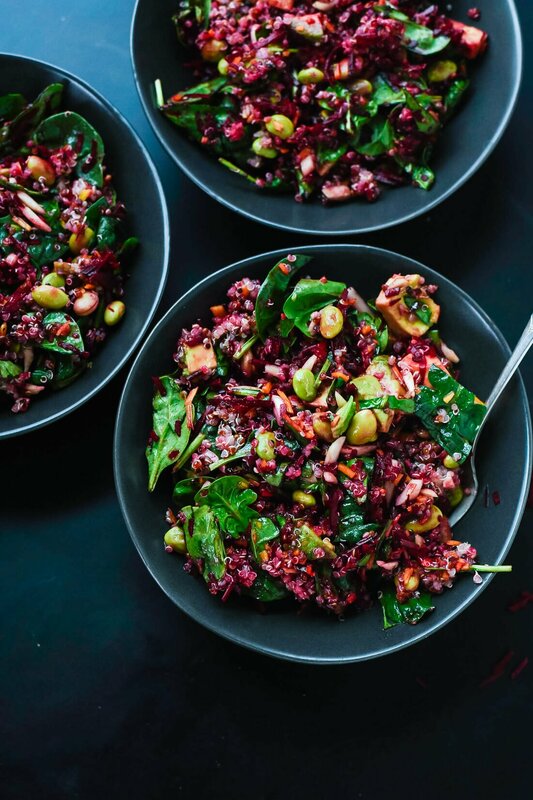 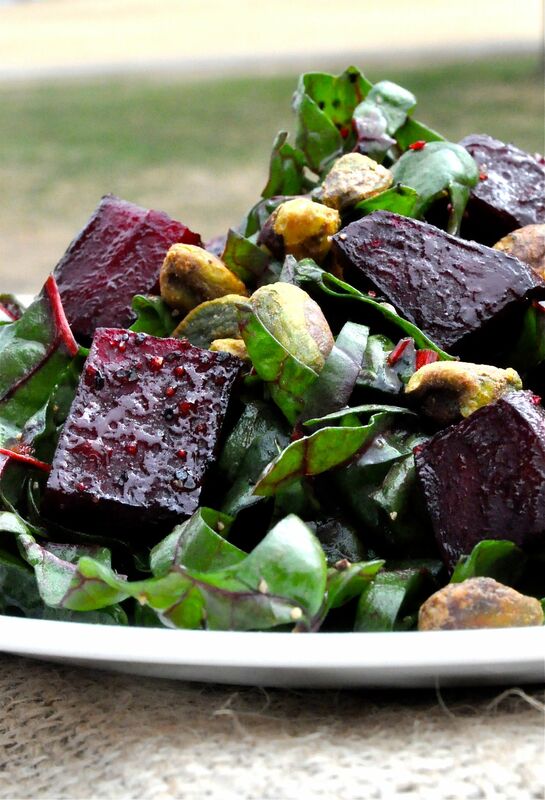 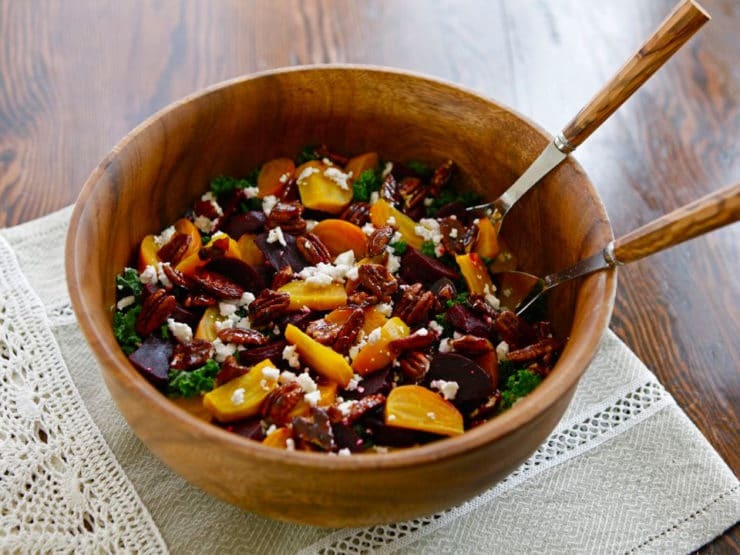 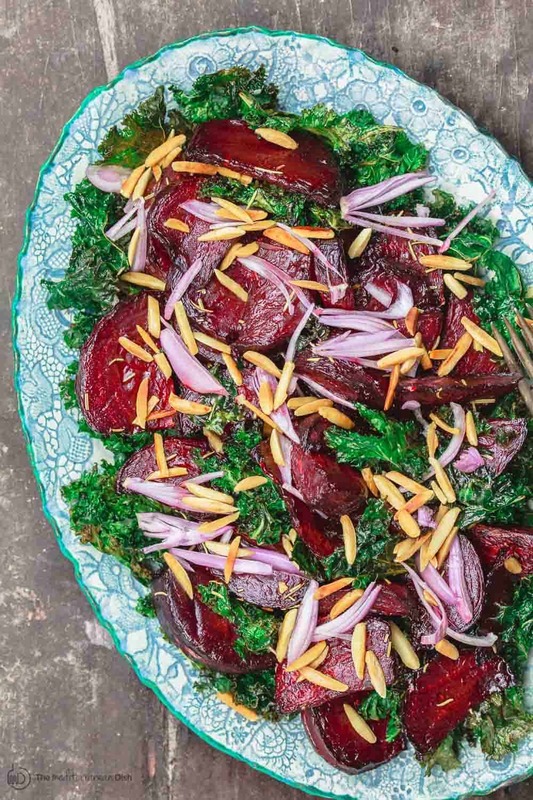 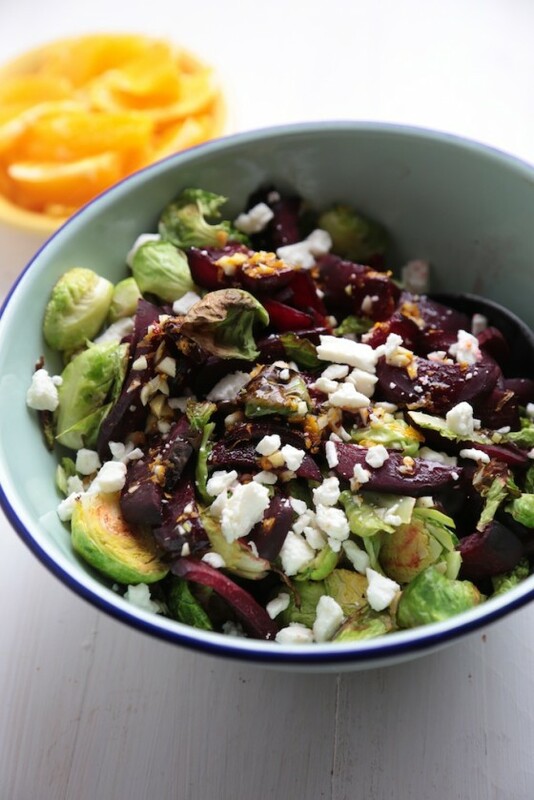 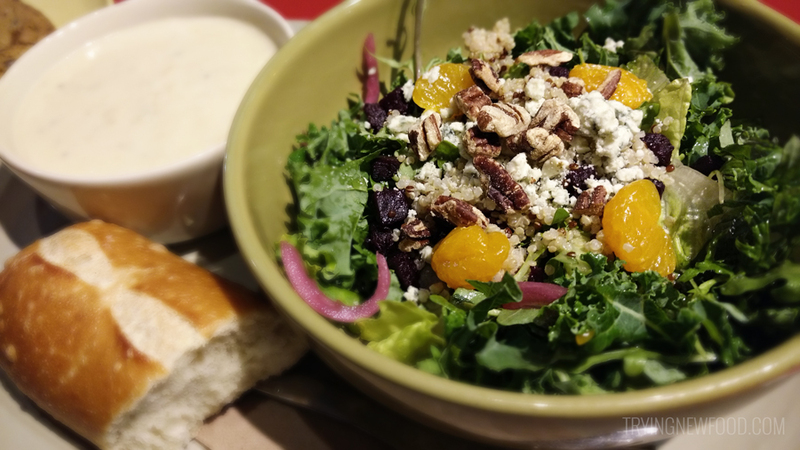 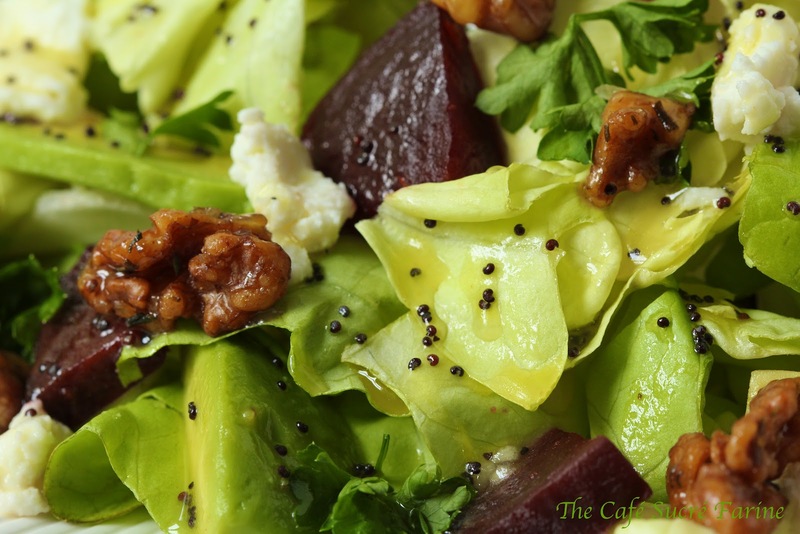 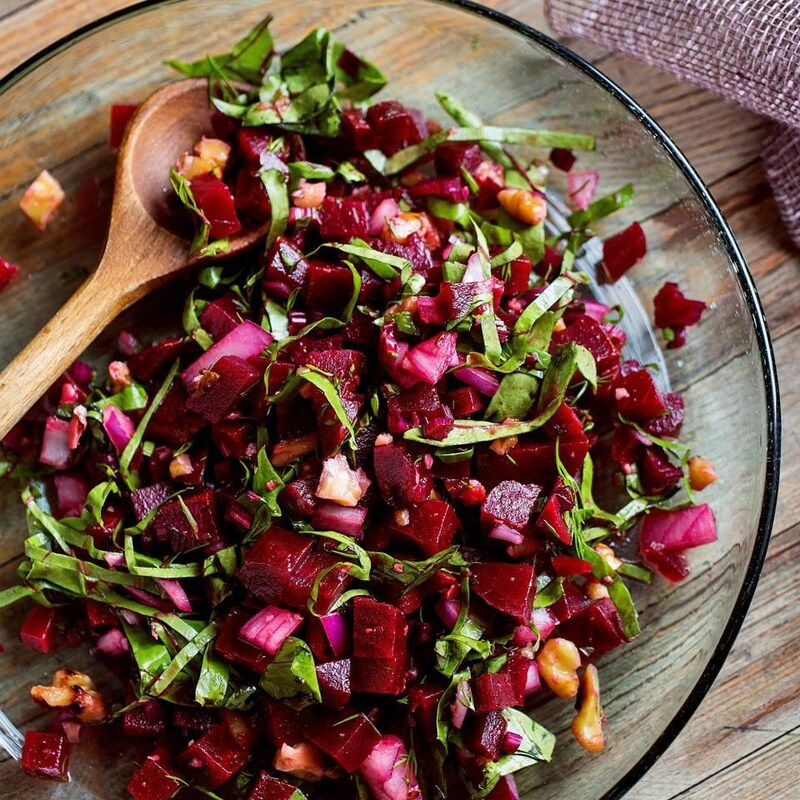 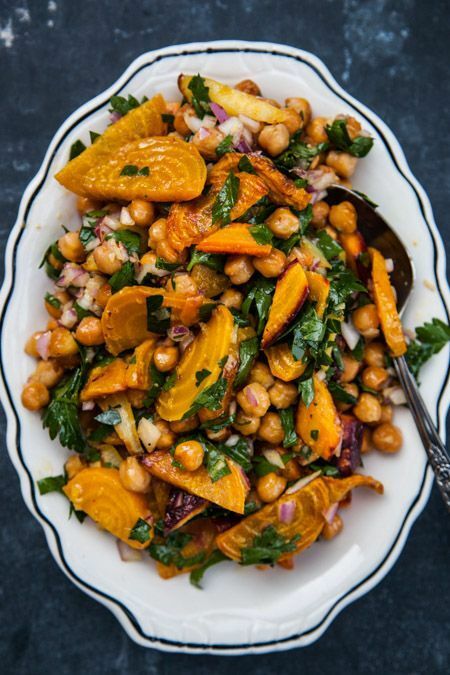 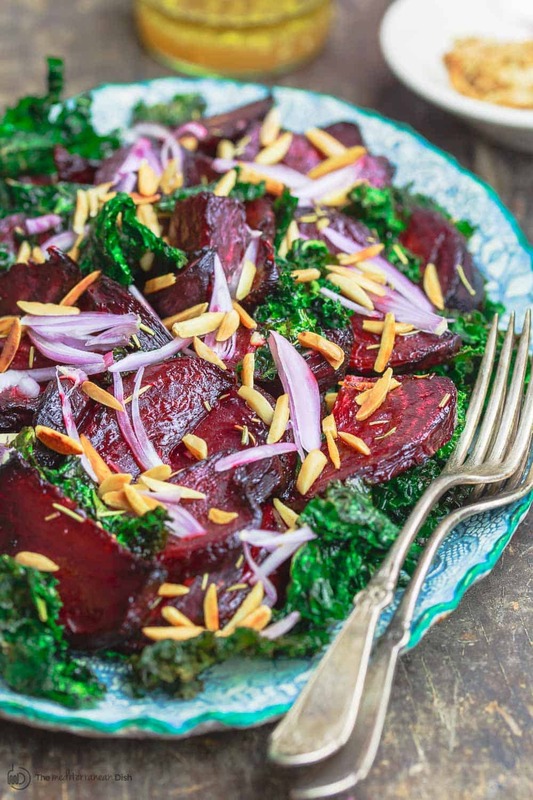 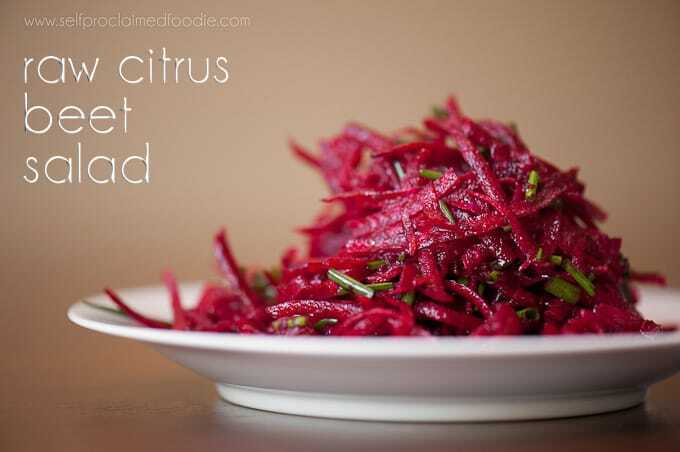 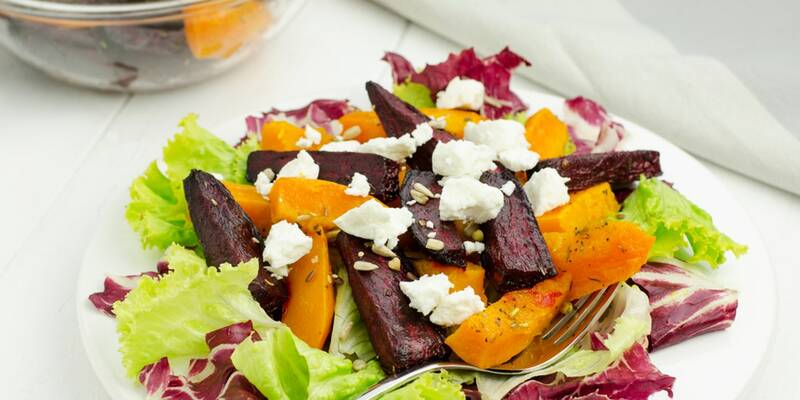 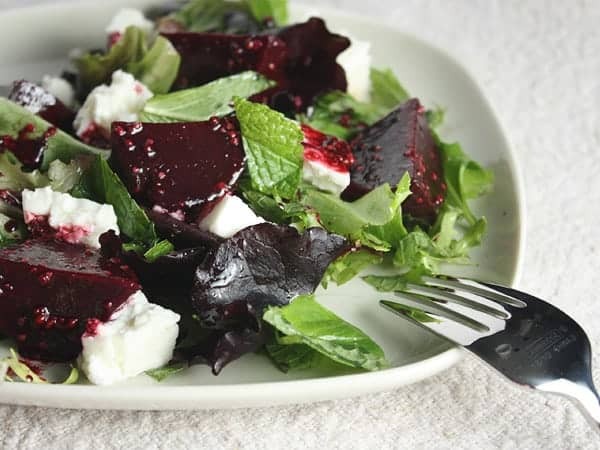 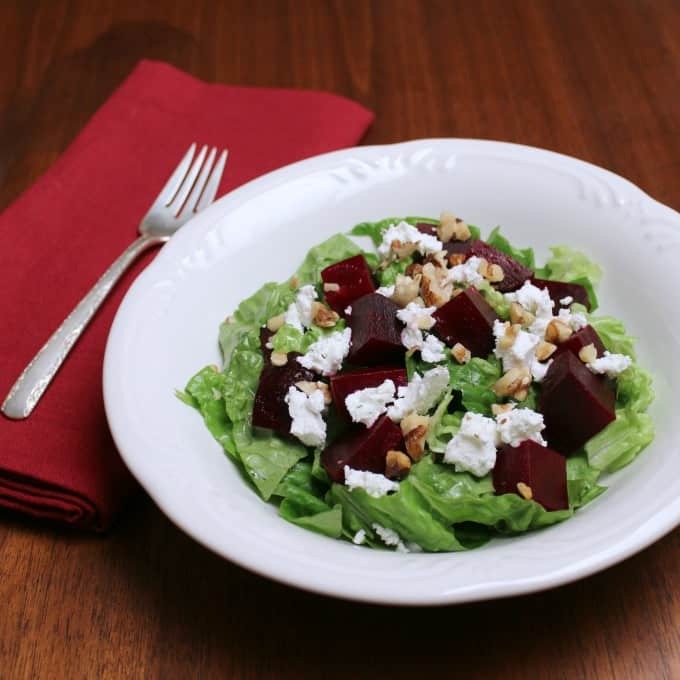 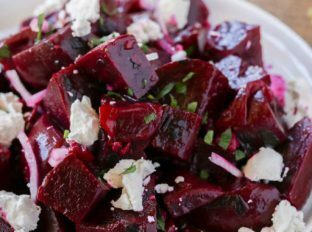 Roasted Beet and Swiss Chard Salad. 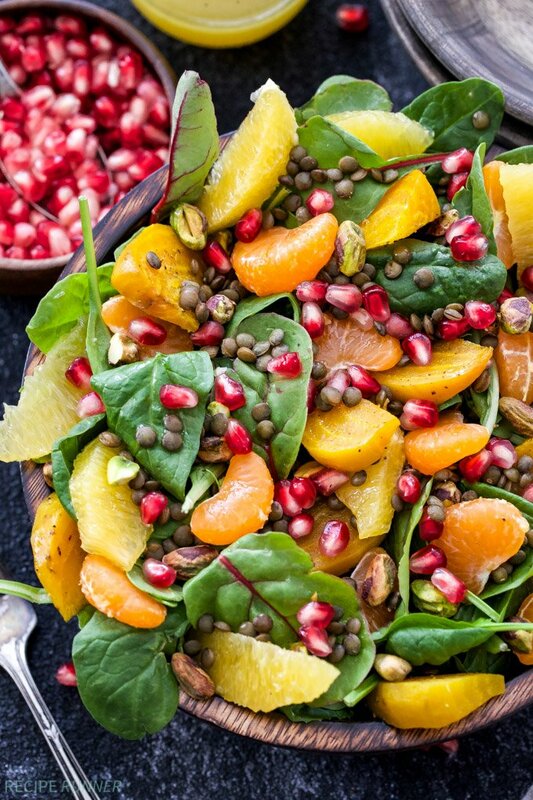 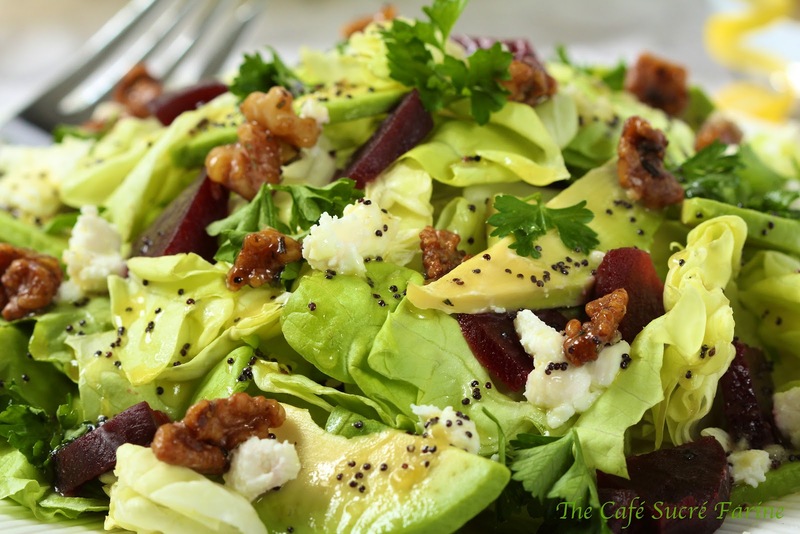 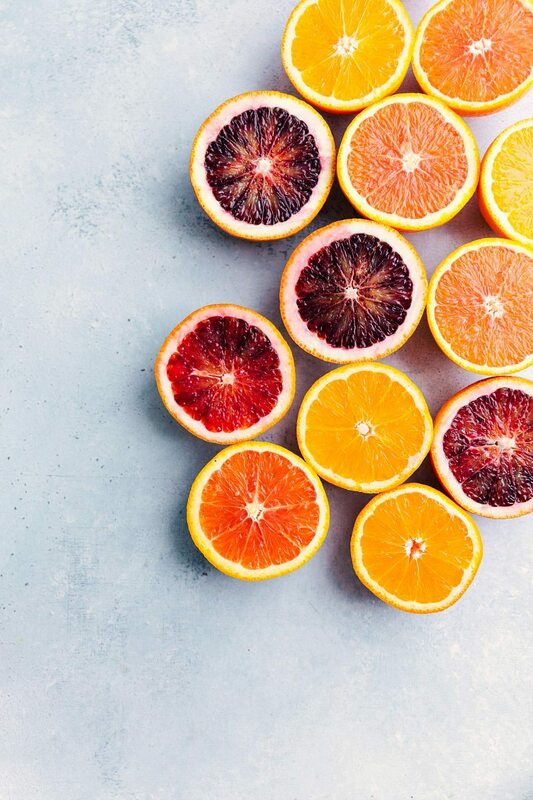 It's all about the pistachios and orange-juice balsamic. 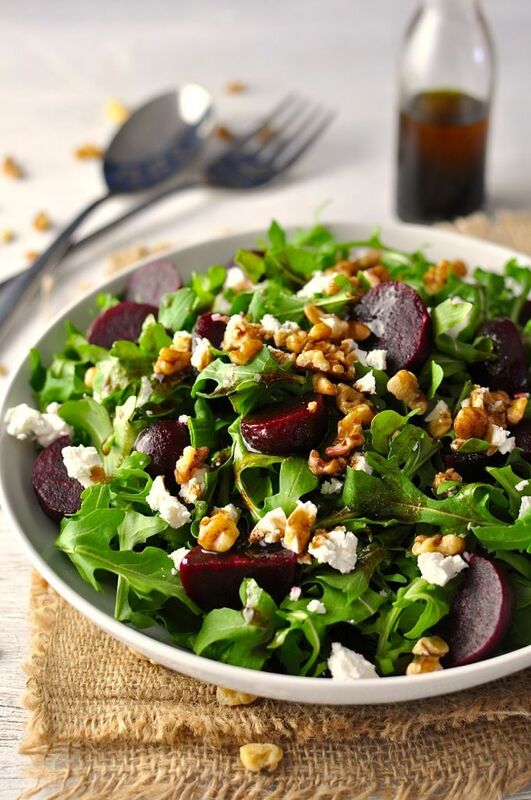 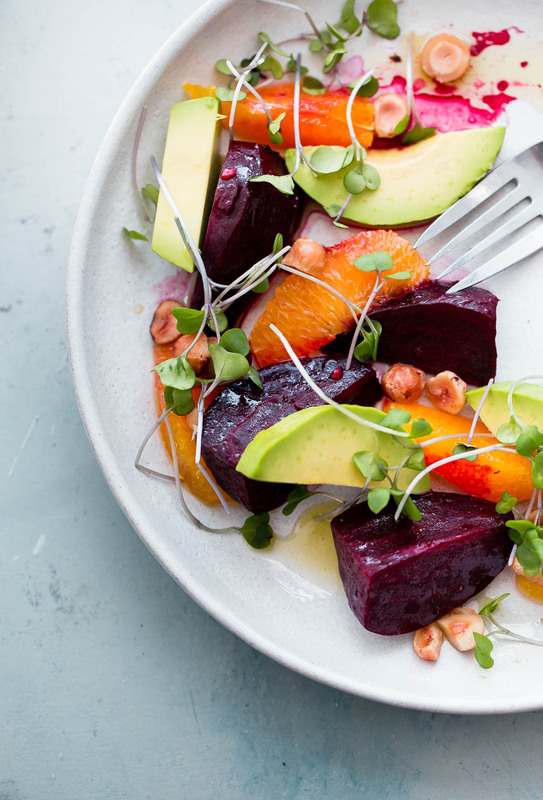 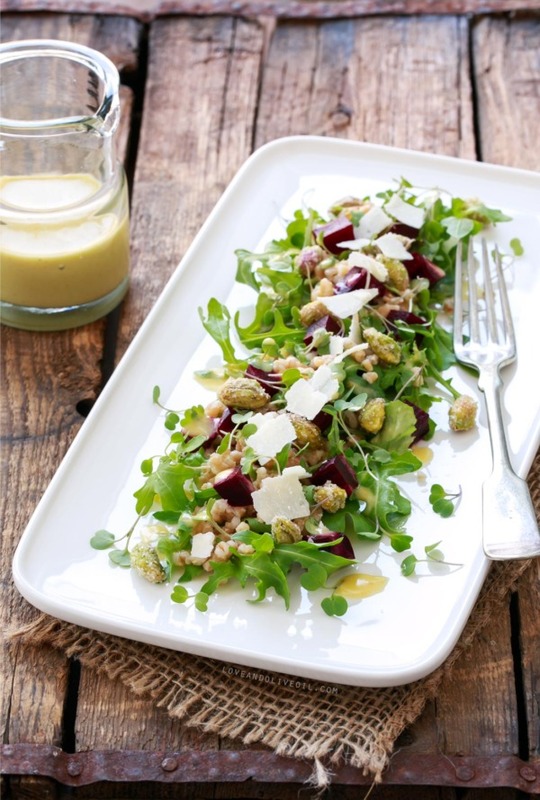 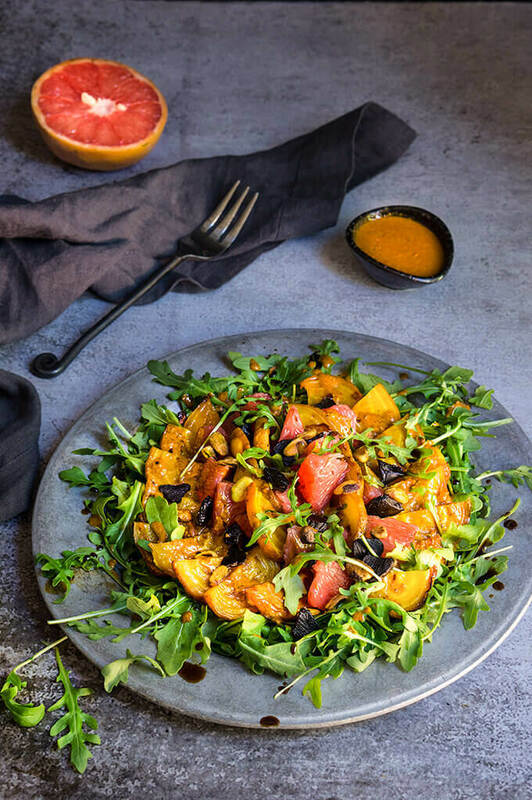 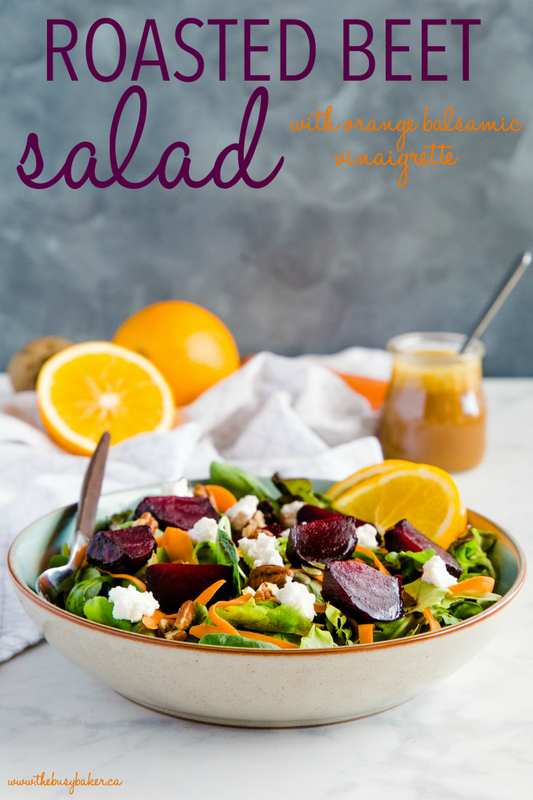 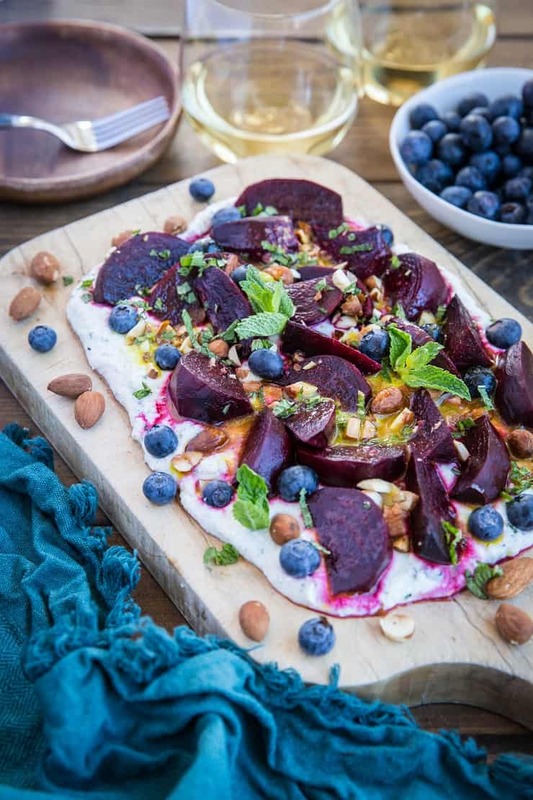 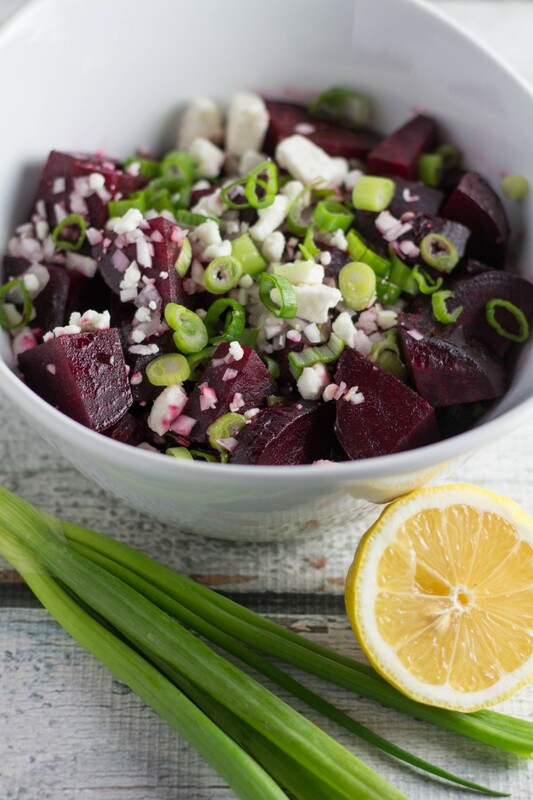 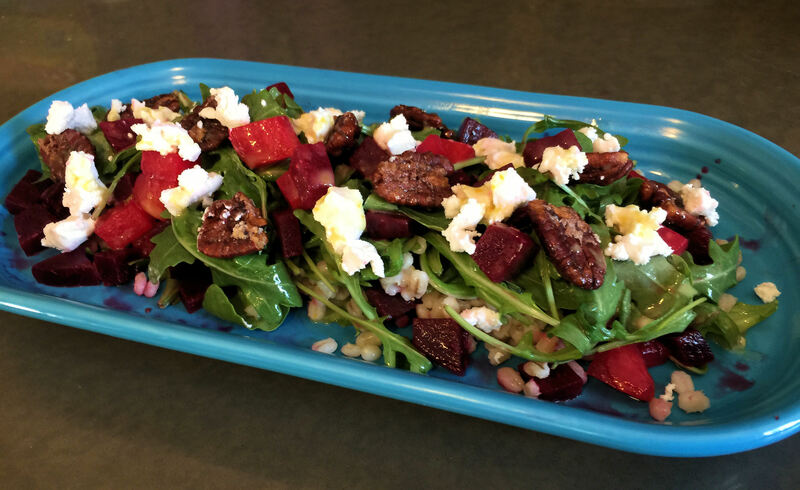 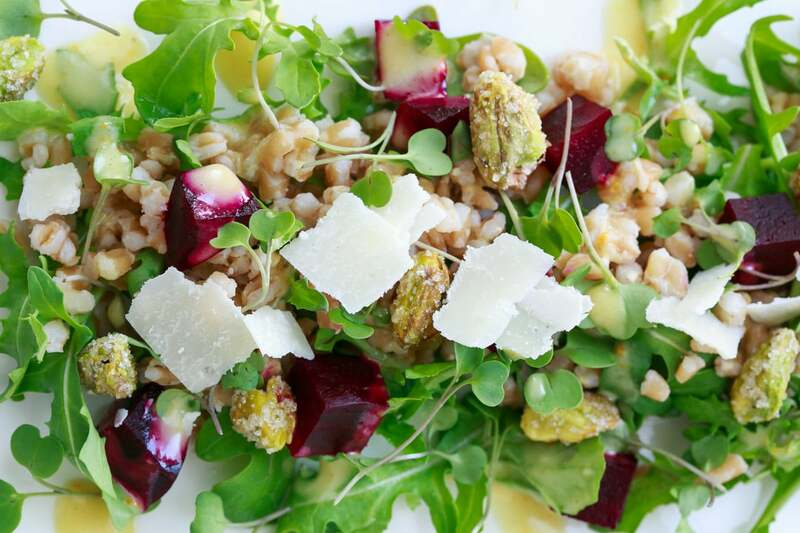 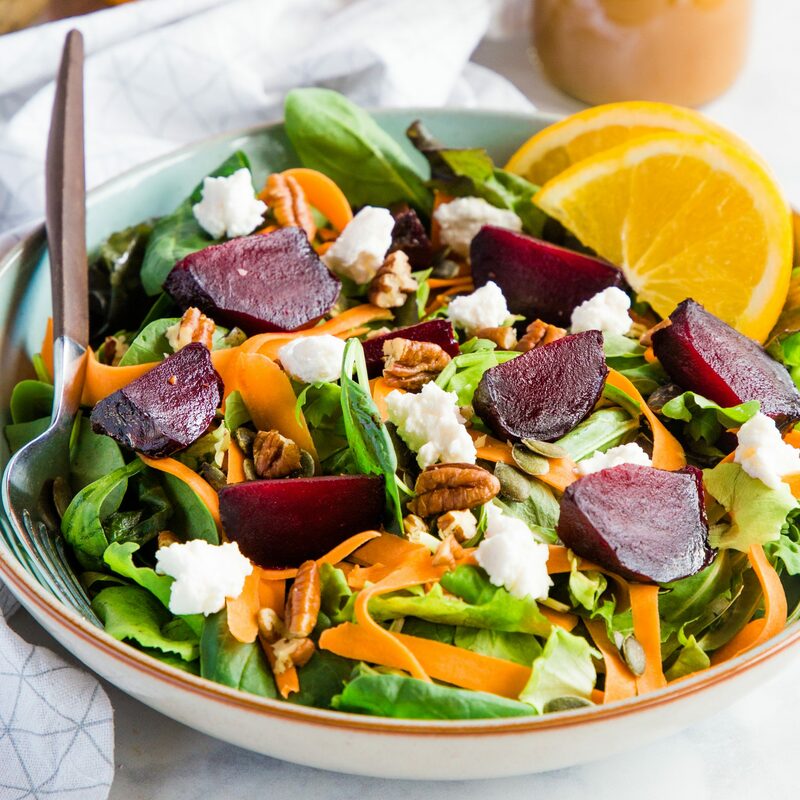 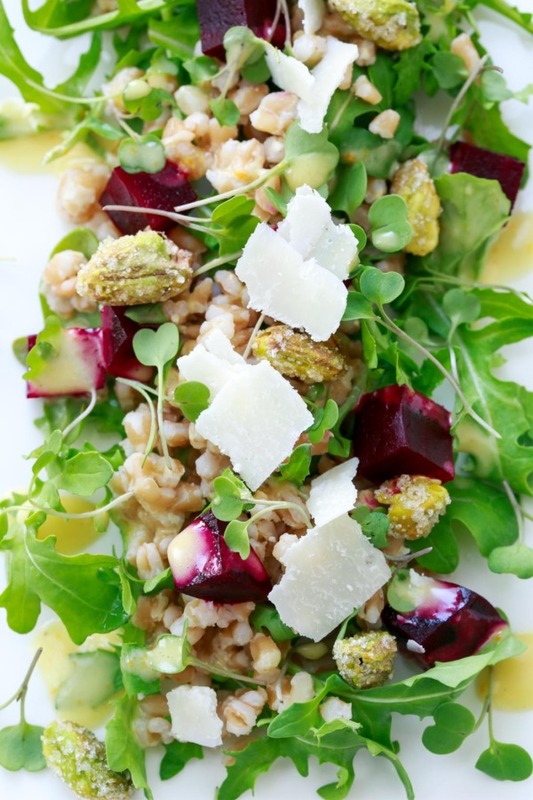 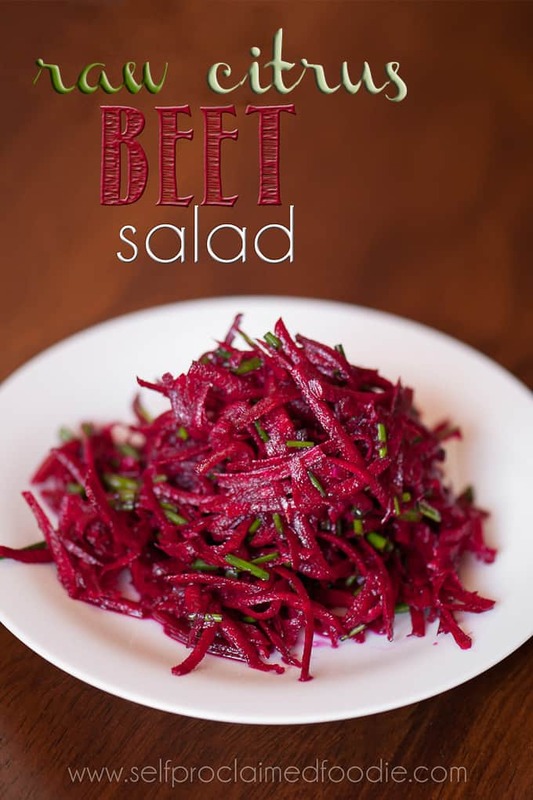 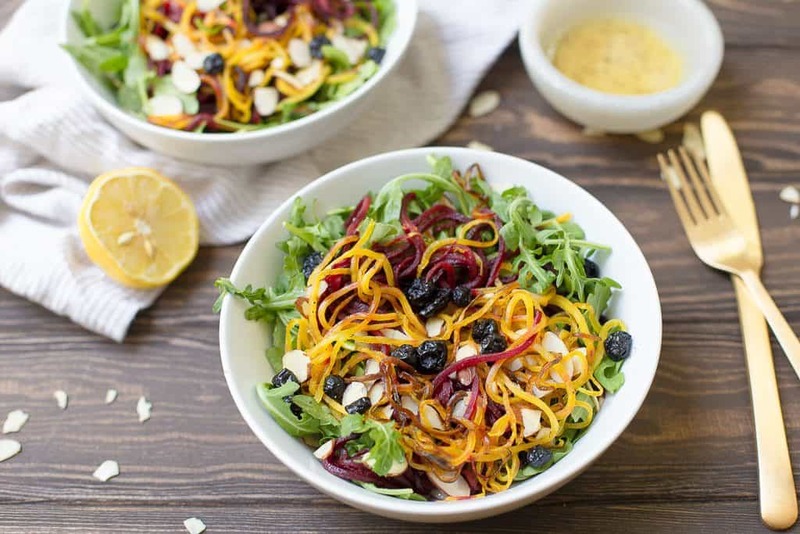 This simple flavorful salad combines roasted beets, slivered almonds, dried cherries, fresh arugula, and a dijon vinaigrette for a easy lunch or side dish!